The words "in the hope of nibbana" are often found printed on invitations to anniversaries or festival meals, sent by the Burmese to their friends. Early in the morning, monks are fed, followed by other invited friends who arrive for a good social meal together. All of this is done, as the invitation reassures, "in the hope of nibbana". Thus does the ordinary Buddhist, himself far from nibbana, honor those who are striving, humbly hoping that his modest charitable efforts will somehow by the process of kammic multiplication add up to a nibbanic sum in the end. 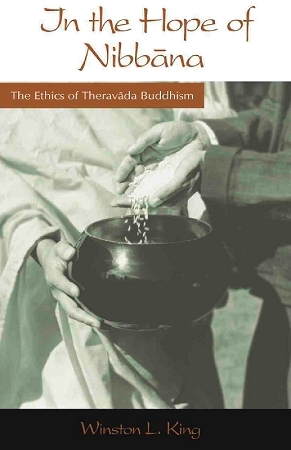 Such words characterize the Buddhist ethical endeavor. In the Hope of Nibbana offers a glimpse into the process of a "religion" and a culture struggling to align ethical values with the realities of the modern world. Buddhism is deeply woven into the fabric of life in Burma, now called Myanmar, and the country's insular history has made it an ideal place to experience Buddhism's influence on a culture and people. 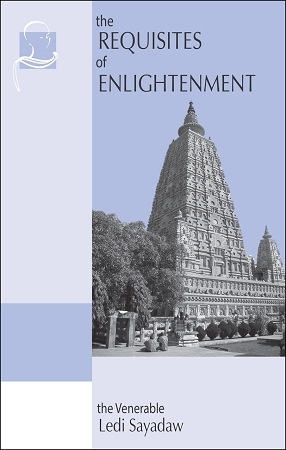 Dr. Winston L. King, a professor of religious studies, also authored Buddhism and Christianity: Some Bridges of Understanding; A Thousand Lives Away; and Theravada Meditation: The Buddhist Transformation of Yoga. 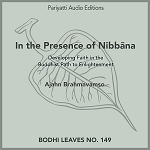 In the Hope of Nibbana was written after two years of study in Burma during the early 1960s; he wrote a postscript for this new edition shortly before he passed away at the age of 92. This item is offered freely, but a shipping charge will apply. There is a limit of one book per customer.